Another Mad Pooper Has Struck Near Buffalo – Caraca Maluco!!! The town of Orchard Park, N.Y., home of the Bills, has been soiled by a person leaving poops in places where they shouldn’t. 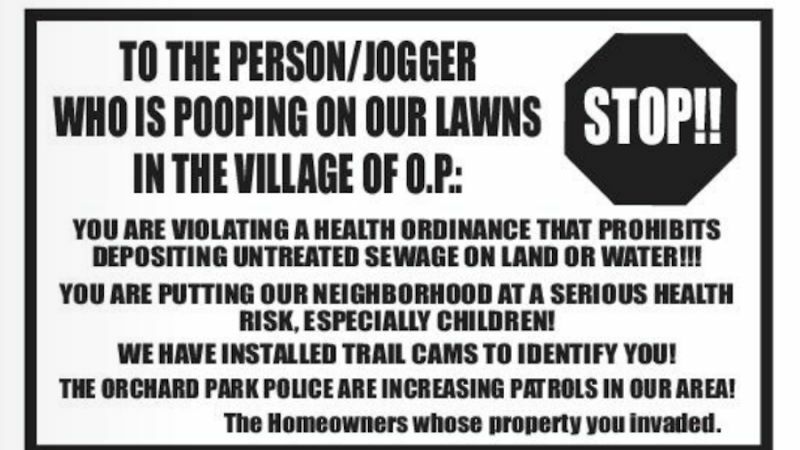 This unrestrained defecator’s modus operandi sounds very much like the infamous Mad Pooper of Colorado Springs. The Buffalo News noticed an ad, placed in the Nov.